Trampoline care: Trampolines are a great bundle of tremendous fun and joy. They are the best option when you want to seek a happy family time together. But rust can put an end to this entertaining source of outdoor fun if not checked on time. To make sure that your trampolines remain rust free for years to come, follow these simple five tips for trampoline care. 1.1 Springfree Trampoline Have No Rusting Issues. When you are buying a trampoline for yourself, always make sure that its frame is nicely galvanized. Usually, there are two types of galvanized frames available in the market at present, one that is galvanized inside out and other which is only galvanized from outside. If you buy a trampoline with outside galvanized frame, the outside of the frame will resist rust efficiently, but if the moisture gets inside, your trampoline will start to corrode. 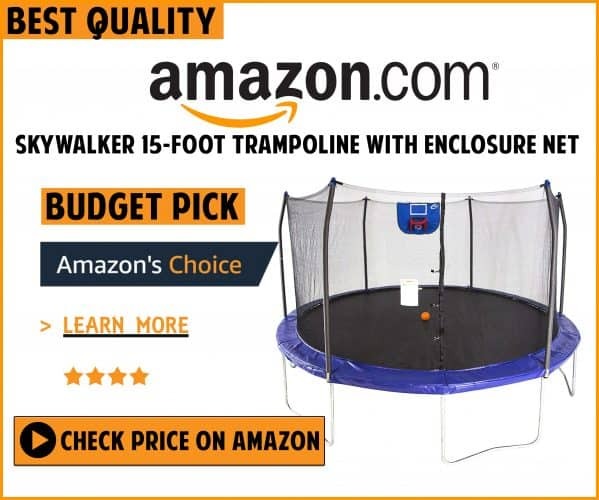 Therefore, buying a trampoline that is properly galvanized from both the interior and exterior is a great option. Using a cover for your trampoline is the most efficient solution for eliminating the risk of rusting. It keeps the frame of the trampoline dry and also prevents the entry of harmful UV rays, debris, and other hazardous elements. If you reside in a state where the weather tends to be atrocious sometimes, it is recommended to store your trampoline in your garage or somewhere under the shed. This will prevent the accumulation of moisture and will eventually protect it from unwanted rusting. You can disassemble your trampoline when it is not in use especially in monsoons or winter and keep them indoors for ensuring long life to your equipment. It often happens when you water the grass in your backyard that water sticks to the frame and causes rusting. Therefore, to eliminate the risk of rusting, you can use water repellant solution. This repellant will effectively coat the frame and protect it from damage and corrosion. If your backyard has a pool or sprinkler, keep your trampoline at a safe distance from them. The splash of water from these water bodies can damage the metal body of your trampoline and will slowly corrode it because of rusting. Thus, to protect your trampoline from such harm, avoid placing them near these sprinkles or pools. Also, make sure that your trampoline is not positioned very close to some tree as it can also pose threats to the safety of the users. These five tips for rust free trampolines will give you long-lasting and well-structured equipment for years to come. The tips mentioned above will help you prevent rust effectually but what if your trampoline has already started rusting? Springs are the most commonly rusted components in a trampoline. But you do not have to unnecessarily fret over the trampoline springs being rusted. Few easy and simple tricks will proficiently remove rust spots and retain the resilience of your trampoline. Employing these simple tricks will make sure that your trampoline looks as good as when you bought it. So, take a look around your trampoline and spot the springs which have somehow begin to rust. You can explicitly mark these affected areas with something like an electric tape for easily finding it at the time of rust removal. When you are ready with some home-made remedy, you can come and just cure the rust after identifying the rusting springs. Salt and lime are amazingly efficacious in removing accumulated rust off the springs. The procedure for making this solution is same and does not require some high-end ingredients. Take juice of two limes and mix it in a small sized bowl with a half cup of salt. Thoroughly mix both the ingredients to form a nice paste. Take a wooden spatula and apply the paste properly on the rust spots that are formed onto the springs. Leave it like this for two to three hours. Now use an old toothbrush to gently scrub away the rust along with the applied mixture. Using clean water, rinse off the springs. Now dry all the components thoroughly. One thing that you must make sure is to do the procedure on a warm and sunny day. The warmth of the sun will effectively dry the springs quickly which is otherwise difficult on an inclement weather day. After you have successfully removed the rust, you can apply petroleum jelly over all the springs. This will also prevent the formation of rust again in the future. This salt and lime solution is prepared on the scientific principle of using a mixture of acid and something abrasive to remove rust. Here, lime juice is mildly acidic whereas the salt works as an excellent abrasive. Rust removal is of utmost significance to make your investment worthwhile with long-lasting equipment. When you prevent the formation of rust on your trampoline, you are retaining the new and well-polished look of your trampoline. In fact, it also maintains the proper functioning of your device because rust can severely damage the structural integrity of the frame. If the frame is not prevented from rust, it will gradually deteriorate and permanently impair the frame and springs of your trampoline. 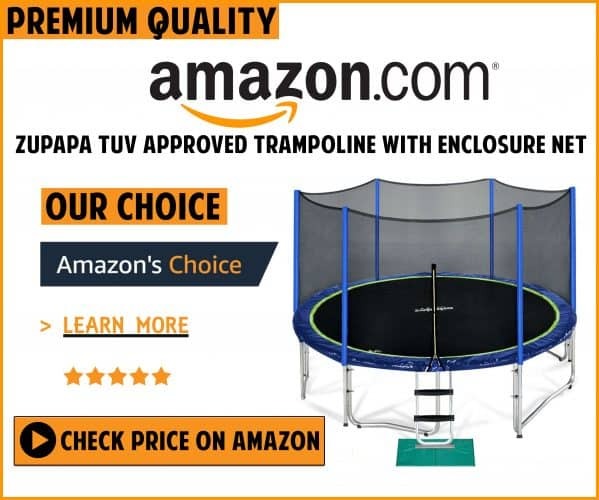 The weak and damaged structure of the trampoline can also result in a potential accident of the user because high-end bouncing may totally impair the device. The rusted frame is not sturdy enough for retaining the heavyweights of the users. Thus, use these five essential tips for trampoline care. These simple to follow tips like storing your trampoline under a shed and covering it properly will prevent rust and also any other damage that may be caused by unfriendly elements. This will enhance the durability and strength of your expensive trampoline. Well, that’s all it is. Follow these simple tips for trampoline care! Springfree Trampoline Have No Rusting Issues.